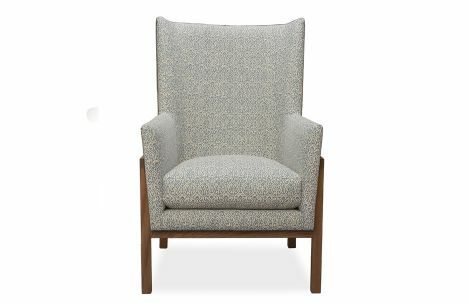 Lee Industries upholstered arm chair with oak legs. French seam. 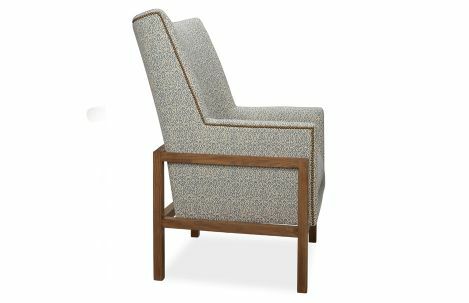 Upholstered arm chair with oak wood legs. 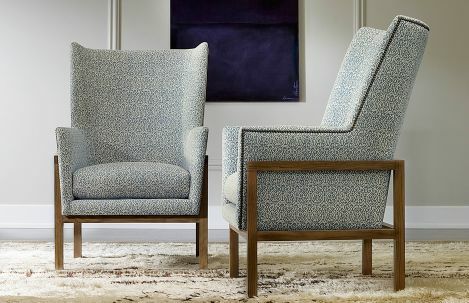 Standard with French seam and mini nail head detail. 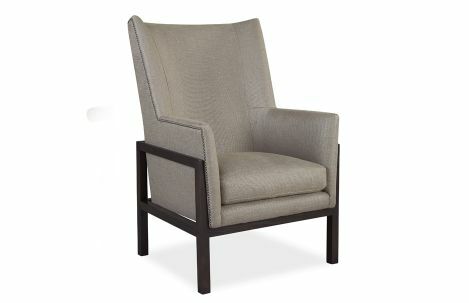 Customize with finish, fabric and leather options.